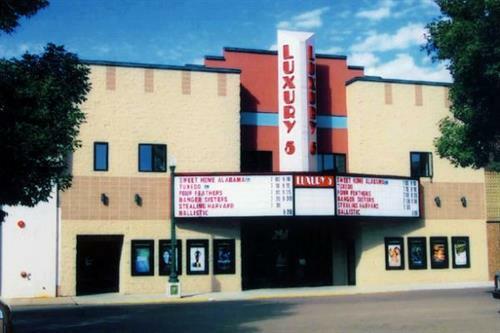 Welcome to Luxury 5 Cinemas in Mitchell, SD! We have 5 screens, one of which is a giant curved screen, putting you right in the middle of the action. This auditorium boasts astounding stadium seating with 21'' risers, the largest in South Dakota! Sit in style with highback rocking seats and retractable cupholder rests. When you visit, make sure you visit our concessions stand, where we offer a wide array of tasty treats and self-service drink machines for your convenience. Check out our website for showtimes and upcoming movies!